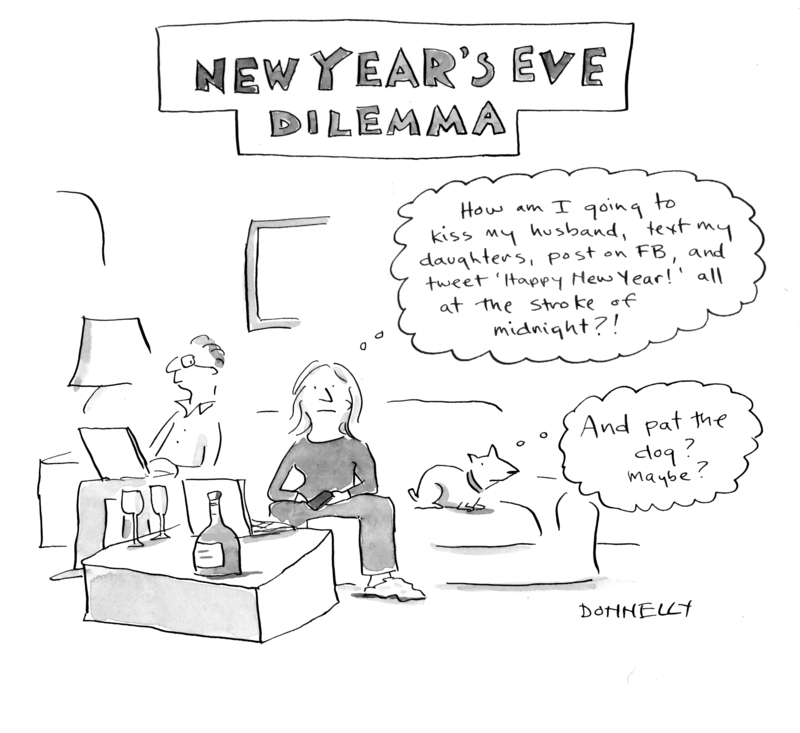 New Year’s Eve Dilemma | When Do They Serve The Wine? I forgot to add, ‘drink champagne.’ But I actually caught myself thinking this last night. But there is no dilemma in this: I want to wish everyone, everywhere a very good new year. Here’s hoping you have a year filled with fun, laughter, and love. Thank you for all your kind comments, and for following my blog. I hope to bring you even more laughter in the New Year. There is an election coming…. This entry was posted in Uncategorized and tagged Facebook, Holidays, New Year, Politics, Social media, twitter. Bookmark the permalink. Happy New Year. There certainly is a lot of potential for ridiculousness in the upcoming political year. Loved watching your recent TED talk on our flight back from Kauai yesterday. I so appreciated your thoughts — cleverly illustrated — on your body and our bodies. Have a wonderful new year. 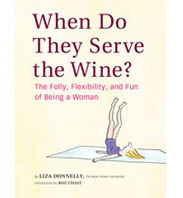 Let it begin with wry laughter! absurd, exciting, and perhaps even more strange than we’ve come to expect. us through the journey. I look forward to it. Cheers! PS #2: Did you pet your dog at midnight? Yes, let’s get the New Yorker to run my cartoons more often! !